Welcome to the site of The Royal Valhalla on The Lake. 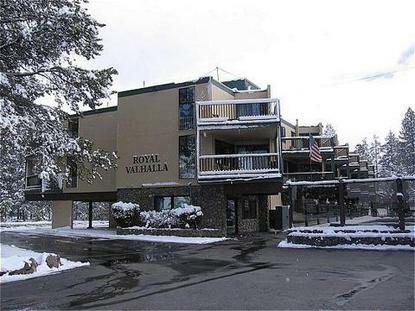 The Royal Valhalla is situated in beautiful- scenic South Lake Tahoe- California. The Royal Valhalla is known for its family atmosphere- quiet mountain evenings- and some of the most breathtaking views of Lake Tahoe- Mount Tallac- and Heavenly Valley Ski Resort.Our hotel is directly across the street from our private sandy beach- approximately a half mile long- and featuring a beach-style bar and grill- picnic areas- and playgrounds for the kid in you. We are a ten minute walk to the world famous Edgewood Country Club and Golf Course. Dont forget to bring your camera- youll need it for a scenic ride on the Heavenly Gondola to the top of the mountain. Lake Tahoe is one of the most photographed places in the world- and youll be sure to get some unbelievable pictures from the observation deck. Of course- let us not forget the dynamic night life- casinos- restaurants- and night clubs.Our hotel features three-bedroom bi-level units which consist of two separate hotel rooms connected with a private internal staircase. The lower level consists of a studio type hotel room featuring a full kitchen- dining area- one queen bed- one roll-away bed- full bathroom- and balcony. The upper unit consists of a two-bedroom type hotel room and features one queen bed per room- one roll-away bed- full bathroom- and balcony. In addition to our three bedroom bi-level units- our property also features several other types of hotel rooms- please call or e-mail for additional information and pricingOur property also features complimentary continental breakfast- daily maid service- a seasonal heated pool- and year round hot tub- both with spacious lounge areas. If you are not in the mood for a swim or soak- you can enjoy our spacious meadow with four barbecue areas- picnic tables- horseshoe pits- volleyball net- and lots of room for the kids to run around.